Now is the right time to get a new pair of wireless headphones. Sound quality has never been better, and the price has never been so good as it is now a day. 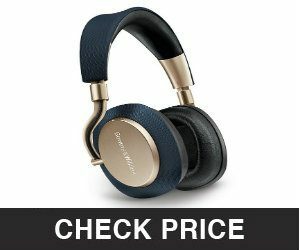 But, how do you decide which are the best headphones for you? This article provides a review of the top 10 best wireless headphones of 2019 and buyers guide. Learn about the special features and specs to look for when buying your new pair. Wireless sound technology has gone from a gimmick to an industry standard in a few, short years. What was once a novelty now offers superior sound quality to many corded headphones. 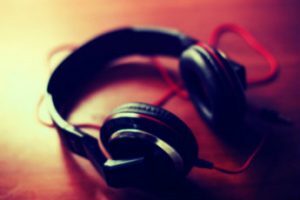 Technological advances in wireless sound technology have transformed the market of wireless headphones. Wireless headphones on the market deliver impeccable sound quality better. Wireless headphones feature noise-cancellation technology. Your entertainment comes through in surround sound quality, while the headphones cancel ambient sounds, to deliver crystal clear audibility. These aren’t your run-of-the-mill headphones. They feature design elements that enable professional use by sound mixers, audio editors, and voice recording artists. 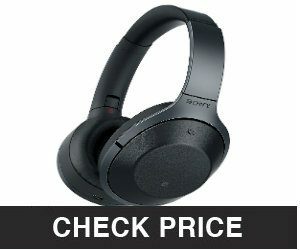 The Sony H.ear On WH-H900N is the best overall wireless headphones of 2019 for the value. They are available for under $300 which makes them competitively priced. The Sony H.ear On Wireless Headphones exceed all These headphones feature an over the ear design, and foldable functionality. The adjustable sides fold down to easily store in your pocket or bag. The headphones support high-resolution sound, and SBC, AAC, aptX, aptX HD, and LDAC audio formats. Sonys design features digital noise cancellation functions to block obtrusive and ambient noises. And, users can connect to the Sony app to customize their listening experience. The headphones allow for easy operation from a highly intuitive touch sensor control panel. 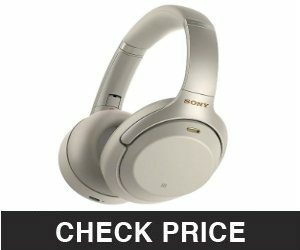 The Sony H.ear On WH-H900N headphones sound like they are expensive, but without breaking the bank. The battery lasts for over 20 hours, and you can make calls without removing your muffs. The Sony H.ear On WH-H900N headphones are a great choice for movie lovers, DIY sound mixers, and aspiring recording artists. Looking for a set of smart headphones that connect to your Google Home or Amazon Alexa? The Bose QuietComfort 35 II offers all the smart features you need at a great price. Bose is, already, a household name for high-quality sound equipment. They make some of the best audio speakers and headphones on the market, so you can trust their hardware. At under $400, these are the best valued smart wireless headphones for noise cancellation. The Bose QuietComfort 35 II headphones feature a noise-rejecting dual-microphone system. Seamlessly switch from media listening to an incoming call with active noise-reduction. This model features three noise cancellation settings to adapt to any noise level. The Bose QuietComfort 35 II’s are fully enabled for compatibility with your Google or Amazon smart home system. Just say the word, and Alexa or Google Assistant will fetch the media of your choice, make calls, or adjust the noise cancellation level. These headphones provide up to 20 hours of playing time on a single charge. The rechargeable lithium-ion battery offers up to 40 hours of listening when plugged in. And, you can travel up to 30 feet from the media source until you lose signal. Like all wireless headphones of 2019, you can access custom features and options from the connected Bose app. If you are a professional on the hunt for a good pair of travel headphones, the V-Moda Crossfade 2 Wireless is a good choice. These headphones are designed to sound great, even if they take a beating. They feature the best quality audio needed by producers, mixers, and recording artists. The V-Moda Crossfade 2 Wireless is the best value wireless headphones for durability. V-Moda brings superior sound quality and high-durability together with the Crossfade 2 Wireless. They feature a “Virtually Indestructible Steel Flex Headband” covered in vegan leather. These over the ear headphones are built to a military standard of durability and high standard of sound quality. These headphones test at a MIL-STD-810G standard of durability. They feature a bass that is clean and crisp. And, the middle tones refrain from becoming diluted or scratchy. If you are an artist on the go, these wireless headphones can take the travel. They feature a cable plug design that can withstand bending over 1 million times. And, the steel headband frame will withstand being bent over 10 times. These headphones are the ideal match for the world-traveling artist or music enthusiast. The Sony MDR-1000X is the best pair of wireless sound-canceling heaphones from Sony. This pair of wireless heaphones features the top sound-isolation technology on the market. And, they still come in under $350. These wireless headphones feature wireless Bluetooth connectivity. They support Hi-Fi audio quality and Hi-Res audio. An active unit, with connection cable, supports an impedance of 46 Ohm, and 14 Ohm when the unit is inactive. The Sony MDR-1000X is designed with a Quick Attention feature. This allows you to instantly stop noise cancellation and tune into ambient noise. Even the ambient sounds come through more clearly with the Sony MDR-1000X. Like Sonys other wireless models, the Sony MDR-1000X features an Easy Touch control panel on the units shell. On a full charge, they provide 20 hours of continuous listening. These headphones are great for tuning out the world to some hi-resolution, immersive audio. 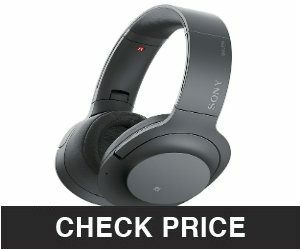 For a few bucks more than the Sony MDR-1000X, the Sony WH-1000XM3 upgrades your noise-cancellation functionality and battery life. Similar to the previous model, the Sony WH-1000XM3 headphones feature improvements in several areas. These headphones feature up to 30 hours of battery life, on a full charge. And, they feature a quick charging option to provide 5 playback hours on the fly. Speaking of flying, the Sony WH-1000XM3 is designed with Sonys unique Atmospheric Pressure Optimizing function. So, your headphones automatically adjust to the altitude and air pressure to deliver the perfect sound levels. But, no matter where you are listening, these headphones are built for personalization. They feature a Personal Optimizing Analyzer function, to cater to your optimal sonic specification. The headphones analyze and adjust your sound based on the size of your head, your glasses, hair, and more. 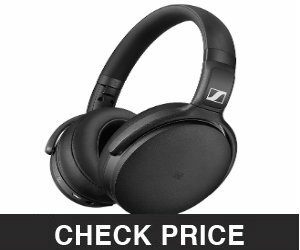 The Sennheiser PXC 550 Wireless is the best headphones for business class travelers. These headphones are designed for superior sound quality and noise cancellation. And, coming in under $350, they are the major competition to the Sony WH-1000XM3. These headphones feature 4.2 Bluetooth wireless technology for fast and reliable connectivity. 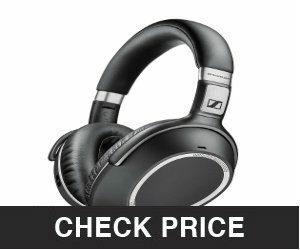 Sennheiser includes their proprietary NoiseGuard technology to ensure ambient sound reduction. The ergonomic design of the Sennheiser PXC 550 Wireless is perfect for travel. The headphones are lightweight and built to comfortably store in a pocket or bag. You can collapse the sides of the headphones in an instant to easily stow away. The Sennheiser PXC 550 Wireless headphones are the best for business class travelers, because of the advanced microphone. These headphones feature a triple microphone array to provide high-quality business communication and vocal clarity. And, selective modes will enhance voices on the other end of a speaker-phone call. If you want to fine-tune your listening experience and audio options, just log into your Sennheiser Sound Tuning App. 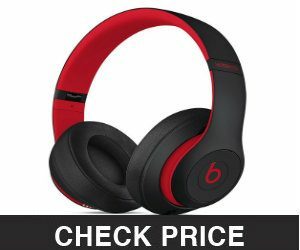 Beats headphones, by Dre, are considered among the best in quality for music listening. The Beats Studio3 Wireless are the best for Apple users. The company has partnered with Apple to introduce a new piece of hardware-the W1 Chip. These headphones feature Beats Pure Adaptive Noise Cancellation (Pure ANC) to continually measure and block ambient noise. With Real-time Audio Calibration you always get the highest quality listening experience. On a full charge, the Beats Studio3 Wireless offers over 20 hours of continuous playback. When Pure ANC is off, you get up to 40 hours of continuous playback. And, when the battery gets low, a 10-minute fast charge gives you three more hours of playback. The Beats Studio3 Wireless headphones feature Apples W1 Chip for fast, high-quality Bluetooth connectivity and iOs compatibility. If you are an Apple user, you will love the Beats Studio3 Wireless. And, at around $350, it will be one of your least expensive pieces of Apple hardware. 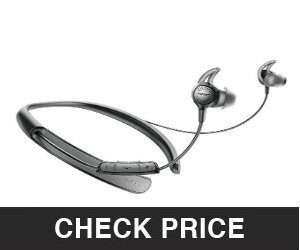 The Plantronics BackBeat Pro2 is the best overall set of wireless headphones for the longest audio range. And, they are reasonably priced under $300. You can enjoy clean, balanced audio at up to 330 feet from the media player. The Plantronics BackBeat Pro2 features high-resolution sound support and advanced speaker drivers. The result is a well-mixed balance of bass, mids, and treble. These headphones come with a hardshell travel case and are designed to fold down for compact storage. Enjoy a full day of audio streaming, with Plantronics 24 hour rechargeable battery. 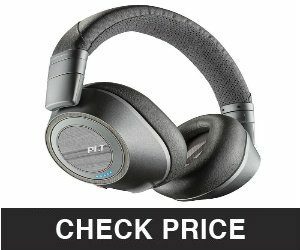 And, like the best of them, Plantronics BackBeat Pro2 headphones feature Active Noise Cancellation technology, between frequencies of 20 to 20,000 Hertz. If you want the smartest, headphones for Apple and Android users, the Bowers & Wilkins PX is the winner. Coming in around $400 it is on the higher side of price. But, the design of these headphones more than make up for the added cost. Like the best Sony and Boss models, the Bowers & Wilkins PX feature Adaptive Noise Cancellation (ANC) technology. Whether you are on a jet, a boat, a bus, or a submarine these headphones provide excellent audio. And, as you use the headphones they learn to adapt to your listening style. Pause your playback, simply, by lifting up one of the ear muffs. Put the unit to sleep by setting it down. You will never again worry about accidentally draining your battery by leaving your headphones on. When you are ready to listen to up to 50 hours of high-resolution audio just pick up your headphones and it turns them on again. And, the Bowers & Wilkins PX headphones app is available for, both, Appstore and Google Play Store. If you want a pair of wireless headphones that have a slimmer design, check out the Bose QuietControl 30. These headphones are sleek, comfortable, and, provide the highest in sound quality. 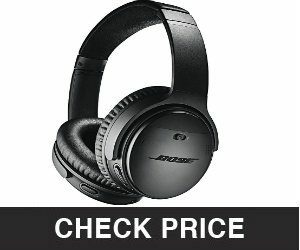 Bose offers the Bose QuietControl 30 for around $300. You get to control your own level of noise-reduction with breakthrough Bose technology. These headphones have a more limited range than some of the larger models, limiting users to 30 feet from the source. They feature a dual microphone array, which provides clear voice calling while reducing the noise around you for the other end. They are designed to travel easily in a bag or pocket and provide up to 10 hours of wireless audio streaming. If you want all the quality without the bulk, look no further than the Bose QuietControl 30 headphones. To decide which pair is the best headphones for music, think about what is important to you when you listen. Are you someone who listens on the go, or listens to unwind? However you listen, you will find newfound immersion with the good wireless headphones of 2019. If you liked this article, on the best budget headphones of 2019, share it with your friends on social media. And don’t forget to subscribe to the newsletter for the most recent posts on our website. Thanks for reading! Contact us here to get help.